If you have recently started business, then one of the biggest concerns is to have a suitable office. However, an office in a commercial location may not be affordable for everyone and the result is some entrepreneurs end up using a part of their house as their office. This does not send out the right signals about you and your business. Prospective customers or vendors will think right away that you are strapped for cash and that you are not truly professional. Your image is affected. This is just one reason why an office in the right location is more important than you think. Established businesses have built up a brand image carefully nurtured over the years. They also know that tarnishing the image is easy but recapturing it is not. This is why businessmen go to extraordinary lengths to craft the right image. Office is important for business but the type, the location and the facilities that go into that office also have an impact on your image. 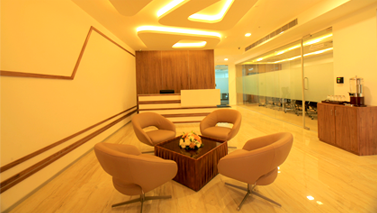 Centre A fully furnished office in Cochin, complete with secretarial, administrative, IT and pantry services as well as telecom and internet facilities and a virtual receptionist in Kochi in a prime location creates the perfect image of you as a true professional. All these facilities, in one way or the other, help improve productivity and efficiency, helping you do more in your business while worrying less about how to access these facilities at reasonable cost and at the right time. 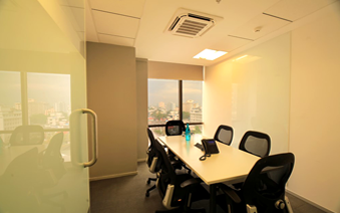 There is another perspective from which virtual office in Kochi can be quite important. You may be based in Mumbai or Delhi and may not have an actual office in the South of India. 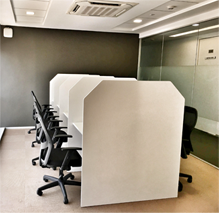 Virtual office for rent in Kochi functions as your virtual presence and this helps improve your image immensely. You need not maintain a staff since the virtual receptionist and mail as well as call forwarding will help convey the impression that you have a fully functional branch in Kochi. Centre A understands the importance of offices for entrepreneurs and professionals and has come up with the entire suite of services and facilities to help further their business. Centre A is a good option for entrepreneurs.